App Overload. Are you confused which app to use? Many of the social media platforms like Twitter, Instagram, and Facebook are still useful media. And business networks like LinkedIn are very powerful, if you know how to use the tools effectively. Are you experiencing “APP Overload?” Confused what is the best platform to use in your pr marketing strategies campaign? You’re not alone. It hasn’t been 2 years since marketers and advertisers were finally understanding how to use them in social media marketing, and now we need to learn all over again how to reach targeted customers. Let me explain. These social media platforms I mentioned are continually expanding their capabilities to be more productive. One in particular is Twitter. Two years ago they created a new app called Vine. The purpose of Vine was to give marketers, like Coco Cola, Dunkin’ Donuts, Target and publicity firms a way to post short videos (6 seconds in length). It was great for the first 18 months. Then competition from other platforms like Instagram, Facebook, and YouTube created their versions of short video formats marketers could use. But not all is lost. 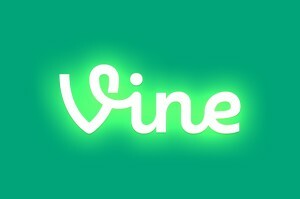 Still today, Vine has about 4% of all videos posted. This can be an effective platform for PR Clients when combined with others. Allison Stern, founder at Tubular Labs commented about the decline-using Vine saying, “I assume that brands are having this platform fatigue”. I think that best describes what is currently happening with this app overload. If you want to post something that is happening now, then you need to look at Periscope. That’s another Twitter app, which has become popular because it is a live video streaming app. They have a few cool features. When you tap the video (screen) it sends little “hearts” across the screen. It is their way of acknowledging, “likes” to compete with Facebook. Originally Periscope was developed in 2014 by another company and named it Bounty. Then in February 2015 Twitter saw the value and purchased the app, renamed it Periscope. To understand how fast this app became a hit, in less than 6 months of its release, Periscope had 10 million accounts. So before you abandon any of your social media apps, just keep posting videos on all platforms, and write short Tweets, blogs and keep your brand in front of customers through all the different social media platforms, today and whatever develops tomorrow. Need help getting your social media campaign going, if so, call George Carson at 949-477-9400. Comments Off on App Overload. Are you confused which app to use? How do you make the 62nd California RV Show successful? Being the 62nd annual show makes it a real challenge to get existing customers excited about something they have known about for this many years. And finding new customers isn’t easy. First you need to understand the audience, what it is that will create their interest to attend the RV Show and what can you do to make it more of an event than just a typical RV show. 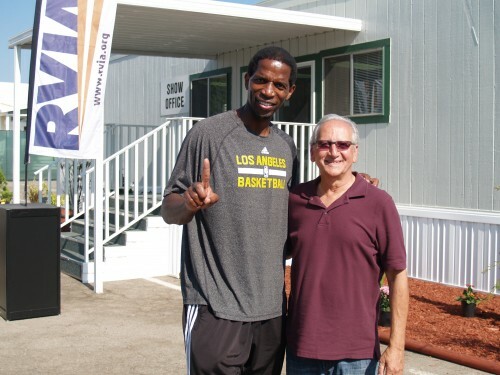 After knowing these critical facts you then build around these findings to create a successful California RV Show. It is important for the media and publicity teams to work together by exchanging information to develop a campaign that will have the greatest impact. The PR Client in this particular case is the RVIA (Recreational Vehicle Industry Association). Unlike other RV shows, this is produced by the manufacturers association, not the dealers. The RV dealers are represented by displaying the manufacturers new RVs for 2015. Interested customers can talk directly to the manufacturers representatives to learn about the RVs, while the purchasing must go through the dealers. what to expect at the show to create the “desire” to attend. 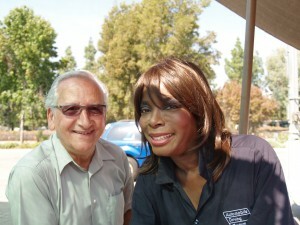 To do this we worked with Gayle Anderson at KTLA, channel 5. Her solid following of viewers and her personality to make things interesting gave the show the needed publicity exposure prior to the opening. We presented to Gayle what is different. Things like Genesis Supreme RV building a 19 foot Toy Hauler at the show, a slalom challenge by Airstream, retro RVs like Winnebago’s Brave, and how roomy a Mercedes Class B Van is with a murphy bed. The local publicity helped many RV companies create the interest among potential RV buyers as well as those who might not have considered RVing but now see how much fun it can be. 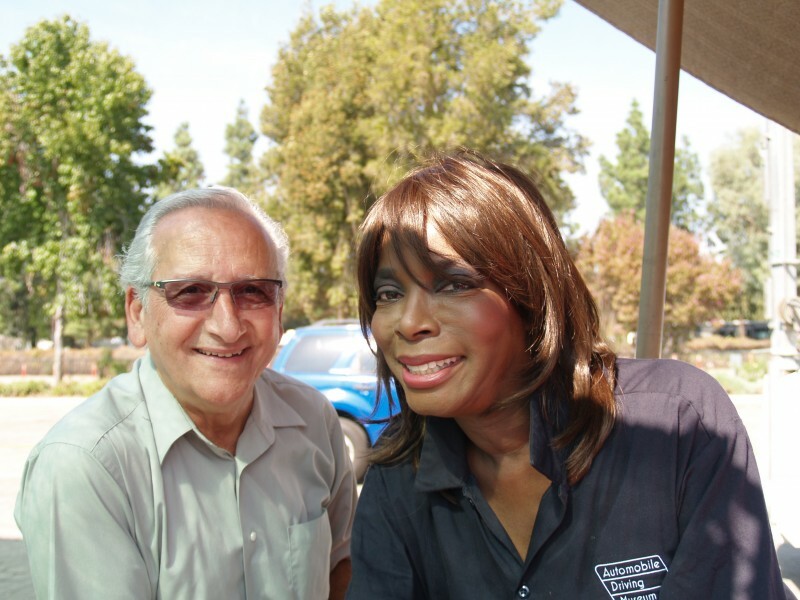 A few days later we had KCAL 9/CBS chief meteorologist Josh Rubenstein report the weather live from the California RV Show. Josh was great. 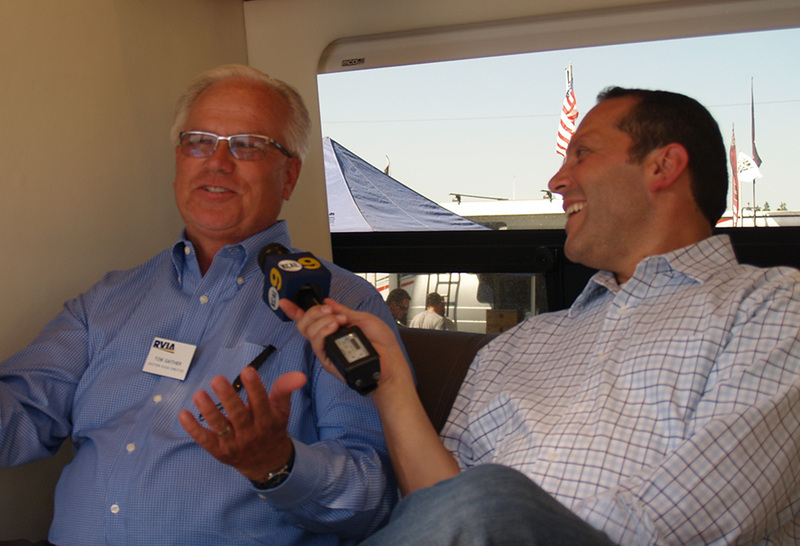 He interviewed Tom Gaither, director of the show and many different manufacturers from Fleetwood, Leisure Travel Vans, to 5th wheel manufacturers. Josh even went inside a custom class A motor home built by Show Hauler. To give the show added enjoyment we had former baseball greats like Steve Garvey, Ron Cey, Chuck Finley and Randy Jones do a meet and greet sessions on different days. AC Green, former Lakers player, also known as Iron Man was there on Sunday to sign autographs with fans. And to rock the show, Bret Michaels the lead rock star in the band Poison gave the crowd a fun time signing his name on most anything his fans handed him. This is one way to create a publicity campaign and make it successful. Google accepts defeat to catch the “WAVE”. Update news. I’ll keep this short, as there isn’t much to say after I make my statement. It was just over a year ago when I wrote about Google’s introduction of their WAVE concept. At the time, it was going to change how email and social media is used by business and consumers. The article I wrote titled: Is your PR Marketing Strategy ready for the next “WAVE” was written in May 2009. Today, Google announced it was canceling the program by the end of this year. Seems that even the people with all the money just can’t demand to change things if people are not willing to accept it. A lesson I hope was learned by Google. So what then happens to all these followers who jumped in? They will just have to go back to the old fashioned email programs that they have been using for the last 15 years. So if you are a pr marketing person, or a pr client who thought this would change how we communicate, dust off that old email account and get back to business. Comments Off on Google accepts defeat to catch the “WAVE”. Which do you prefer, Social Media or Email? There has been a lot of discussion about social media replacing email. I doubt this will happen. At least for now. Email might be reconfigured over the next couple of years, but I think email is here to stay. Is your pr marketing strategy focusing on email or social media? If you are choosing one over the other, then your pr marketing strategy needs to be revised. It is best to keep both marketing strategies to have a successful marketing plan. 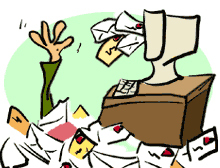 I read several different articles claiming that social media networks are replacing email. One in particular describes how everyone at a company is assigned an email account, but a movement to stop employees from using social networks at work is on the incline. 1. People still send hand-written letters via snail mail, even though they could instead make a phone call, send an email, text message, or status update. 2. 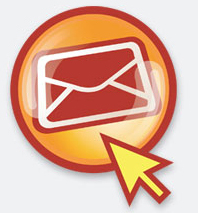 Nearly all sites on the web that require registration require an email address. Some are starting to integrate social media into this process (through things like Facebook Connect), but that is still a very small fraction, and they typically still allow for email information as well. 3. Email notifies you of updates from all social networks you are a part of (provided your settings are set up that way). 4. We haven’t seen any evidence yet that Google Wave really is the next big thing and will catch on a large scale. 5. Email is still improving. It hasn’t screeched to a halt with the rise of social media. There is still innovation going on, and integration with social media. Look at how Google is constantly adding new features to Gmail. Look at the new Yahoo Mail. 6. Even social networks themselves recognize the importance of email. Never mind that they update users about community-driven happenings via email. MySpace (still one of the biggest social networks) even launched its own email service recently. The next time you are told by your pr client to not use email as part of the marketing strategy, just pass along this short list. It may not convince them, but at least you pointed out reason why it is important to keep email in the plan, at least for now. If you need help in deciding on the direction to take, or need help with a successful social media campaign, give George Carson a call today at 949-477-9400. Are you willing to pay to meet friends? Twitter may think so. We are entering another level in the world of cyberspace and social networking. Jut a few years ago chat rooms were the craze, and then came the social networks like MySpace and Facebook, and the business networks like Linkedin. Now they are trying to make money on these successful sites. So why not Twitter? Yes, the overnight successful social network is thinking people are willing to pay to meet friends. Would you pay? At present it’s free. But for how long? An article in web pro news discusses this topic further. There are still other social networks that are free. And new ones are entering the crowded market, such as Twellow.com (still in beta). So how do these social sites profit from an industry that is hungry to meet others? Place banner ads on the sites? Collect the personal data and sell it to prospects? Or begin membership clubs to keep from all the commercials and banners? I am not sure what the answer is, or if there is going to be an answer that meets what people will be willing to accept. Only time will tell. In today’s rapid pace of social media, we can only wait and see. I thought this short blog will help my pr clients and “friends” in the publicity industry, as well as publicity professionals are informed about the latest direction for social networks. If you are a pr client, or publicity firm that needs help in developing a social visible network, then give me a call. I’ll be willing to guide you in the direction to take your business to the next level. Good luck, George Carson. Is Social Media Killing The Advertising World? Some say yes, while those not sure sit and wait to see what happens over the next couple of years. If your pr marketing strategies are not current to include this trend then you might just be that pr client who fades into the darkness of cyberspace. It’s amazing how the advertising industry is running scared about social media taking away their market share. Maybe because they are the last to recognize or admit social media was not a fad but a new way of communicating. For over a year, I discussed this at length. I mentioned how social media needs to be part of any pr clients marketing strategy, or media plan. But then again, I am one of the few in this marketing and publicity industry that embraces new technology and uses it to my pr client’s advantage. Why do ad agencies, even pr firms keep ignoring opportunities like social media, social networks? Because they do not understand it! And most importantly, cannot figure out how to make money off this technology, because they were too comfortable doing the same old stuff for over 40 years! What got me on this topic was an article I read today in FT.com (Financial Times) by Tim Bradshaw. It is titled “Social networks threaten advertising growth“. Powerful heading, and even more eye-opening as how fearful this industry is about technology. Yet, our industry communicates to consumers about new products, services and why you need them. But these same people who profess its greatness, fear it. I have learned to adapt to new technologies and make it beneficial for my pr clients. 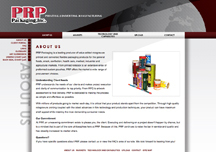 For example, web marketing has been part of our company for over 6 years. That puts us light years ahead of many others in my industry. We continue to learn about how to improve client’s visibility, increase sales all through web marketing. Yes, we do mix traditional marketing techniques when needed to further a clients publicity campaign or awareness program. To wrap this up, we are not fearful of technology such as social media; as a matter of fact we are looking for the next revolution and are ready to use it to our clients advantage! If you want your publicity or marketing to move forward fast, then give George Carson a call at 949-477-9400. It could be the best call you make to put you ahead of your competition. Before submitting your local or national web site to the search engines, make sure it is properly optimized, has all the meta tag keywords, and titles. The second important part, make sure the site is graphically appealing, not cluttered, or the SEO’s will just pass you by. The last thing, is the site map. Your web site should have a site map, it is how the SEO’s crawl sites. It’s all about knowing how to use web marketing. 1- Submit your site after it is complete. Too many times a pr client, or web designers want to submit the site even if you have a couple of pages that are still in construction, or are not completed. This will hurt your rankings. 2- Hand Submission is best. If you hire a local web marketing company or have your local publicity agency do the submission, make sure it is not done with software. 3- Beware of promises by web companies. If someone promises you top rankings…buyer beware. Check them out, make sure the company can produce what they claim. 4- Use keywords, phrases that relate to your location. It is good practice to include in tyour title page, or in the body text that tells where your company rsided. Although your company may do business nationally, local web marketing will further the exposure and your chances of being ranked higher with the SEO’s. Doing the submission to all the search engines and directories is a long process. And you should only submit to about 5 SEO’s per week. Doing a blast will trigger red flags to the “bots” and cause your site to be overlooked. In the long run, using a professional web marketing company will assure your site is properly submitted, and optimized. Companies need to use “street smart marketing techniques” during these difficult times. One smart strategy is to re-think how you reach customers. If you are a pr client, then consider Email Marketing. It can be one of those marketing strategies that prove to be a winner for your company. But you need to understand how to use this tool effectively. You can get lost on what to do. If you search the words “Email Marketing” in Google you will get over 52 million searches. Just like a solid publicity campaign, email marketing should have a plan. Here are a few tips. 1- Offer something of value. Don’t fall into the trap of discounting. Most emails will be shouting the price cuts, or discounts in the subject line. Instead provide value, such as information, or use the subject line to mention how your product or service provides helpful tips, or increases their profit margins. 2- Start a discussion. The first and last things we do in any day is check our emails. Just like a social network posts questions, try this in your email. It could be something that is passed along and soon your company is the focal point of that topic/product. 3- Follow-ups. Use email to follow up to a customer who made a recent purchase. Ask them about their experience with the sale, or with the product order. Get customers involved, it will show them you care. These are just a few tips to creating a successful email marketing campaign. It still is one of the most powerful marketing strategy tools that a pr client can use during this difficult business climate. So start to make things happen. Use email marketing wisely and see the results. If you need help, call George Carson at Carson Marketing, Inc. He can be reached at 949-477-9400. Can corporate blogging increase your publicity awareness? If you need to ask this question, then your publicity campaign must need help. The answer is a simple, YES, corporate blogs can help improve and increase awareness. I have mentioned how blogging is more than a place for people to vent, or comment about what they like, their lives and hobbies. It has become part of the mainstream business cycle, which should be included into your publicity plan, or marketing plan. All publicity professionals and most pr clients understand that awareness is what makes or breaks a company. So why not get in control? With a corporate blog site, you and your publicity professional, or in-house pr staff can now control what is said about the company. When a blog site is part of your PR Marketing Strategy, it will further create a solid branding for your company, or PR Client. An article in the Washington Post by Sarah Halzack discusses the corporate world is getting into blogging. I have said this many times before, and again we are seeing more of the mainstream media addressing this topic. So why should a company, or PR Client want a blog site? There are many reasons, but before you make the plunge, see if a blog site is going to help or benefit your company. Not everyone needs it, but most pr clients will benefit. These are just a few reasons to have a corporate business blog site. When designing a blog site it needs to be different from your company’s web site. In addition, you need to have someone dedicated to maintain the blogs on a daily or weekly basis at the least. Keeping the blog site active shows the company is interested in informing customers about them and adds credibility to their brand. If your company needs a blog site, or writers to maintain your site, give George Carson at Carson Marketing, Inc a call: 949-477-9400. He can get you noticed quickly! Comments Off on Can corporate blogging increase your publicity awareness?